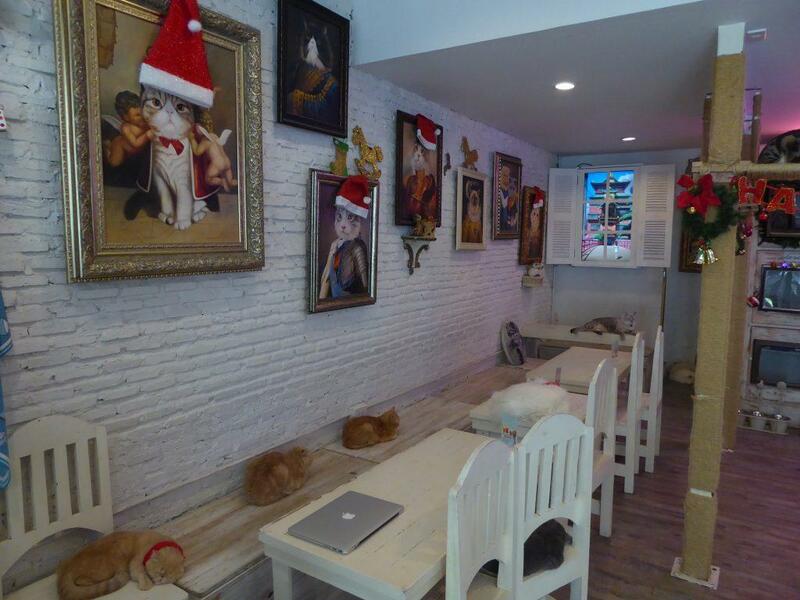 Caturday Cat Cafe is a child-friendly Japanese style Pet café where you can sip your latte or cappuccino in the company of a posse of cute, adorable felines. 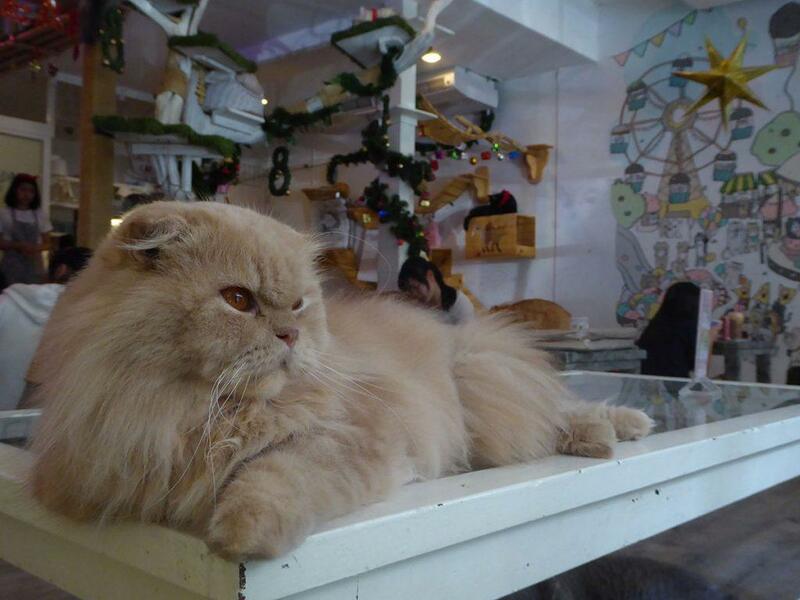 The café is nicely decorated with lots of cat-friendly features such as high walkways and secluded sleeping places. 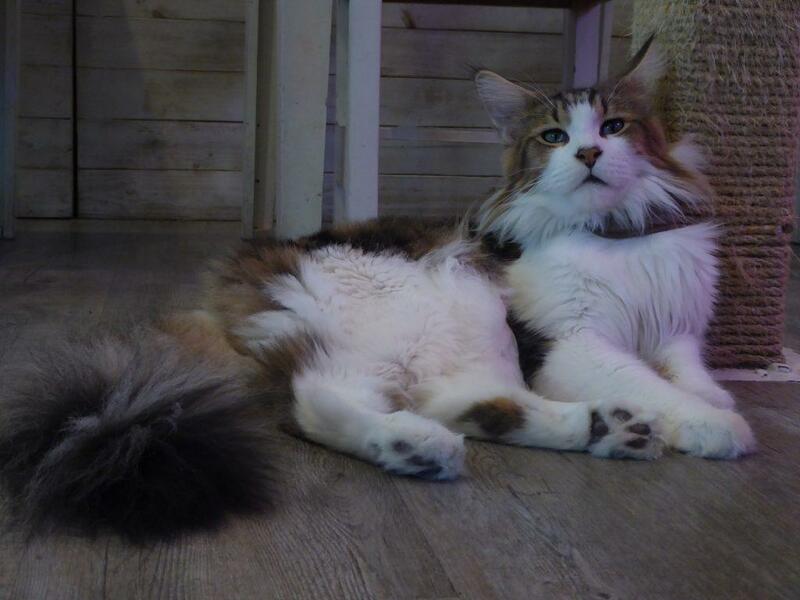 There are at least 20 cats of various breeds including a few unusual looking ones. There is no admission fee but you must order food and or drinks and there is a time limit of 2 hours. 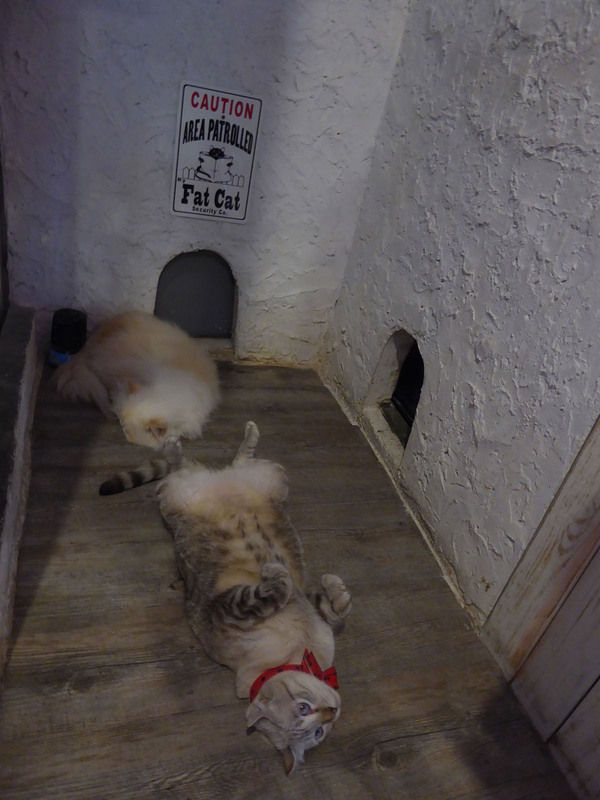 All visitors must abide by the rules which are – leave your shoes outside, no holding or picking up the cats, no disturbing sleeping cats, no rough play, no feeding the cats with human food. 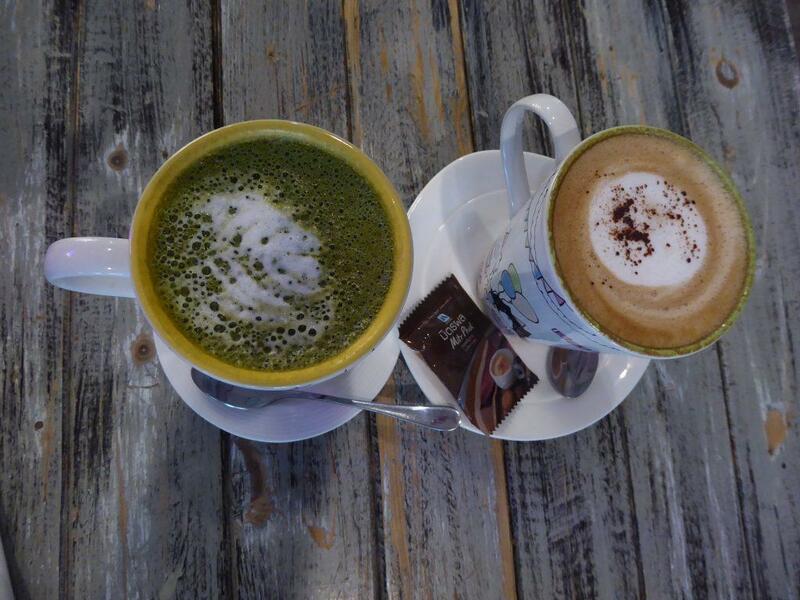 There is a choice of cakes, bakery items, desserts, hot and cold snacks, and drinks. Cat treats are available and you can feed them to the cats yourself. 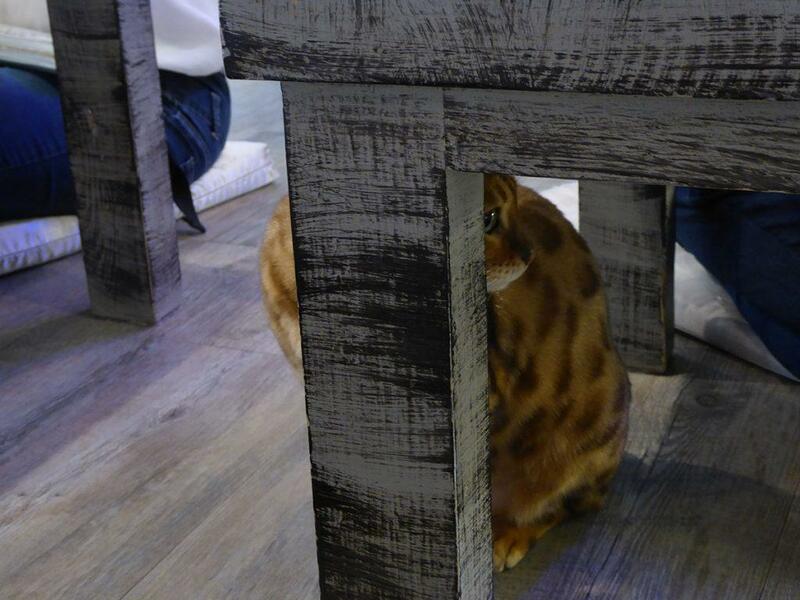 This is a good way of attracting the attention of the cats. There is also a souvenir shop. 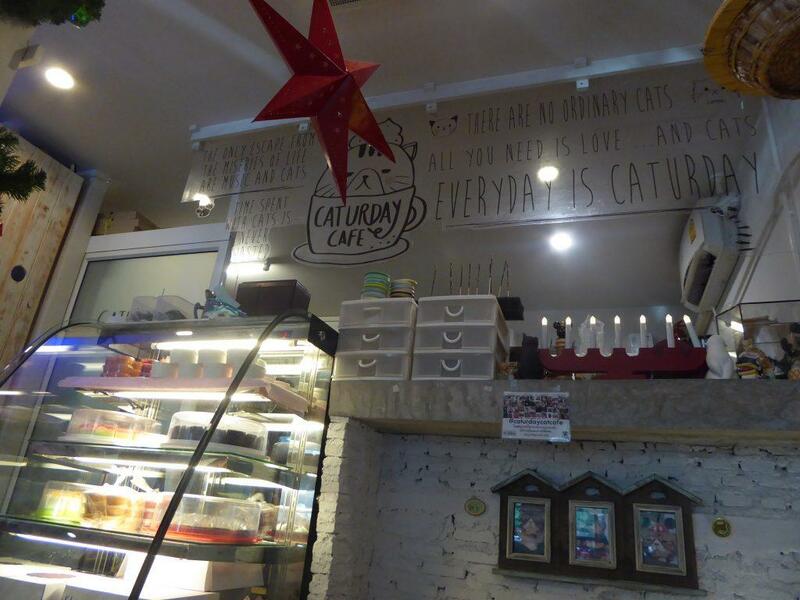 Caturday can be busy on weekends and after school hours as the café is popular with older children. Try to go on a weekday in the morning. 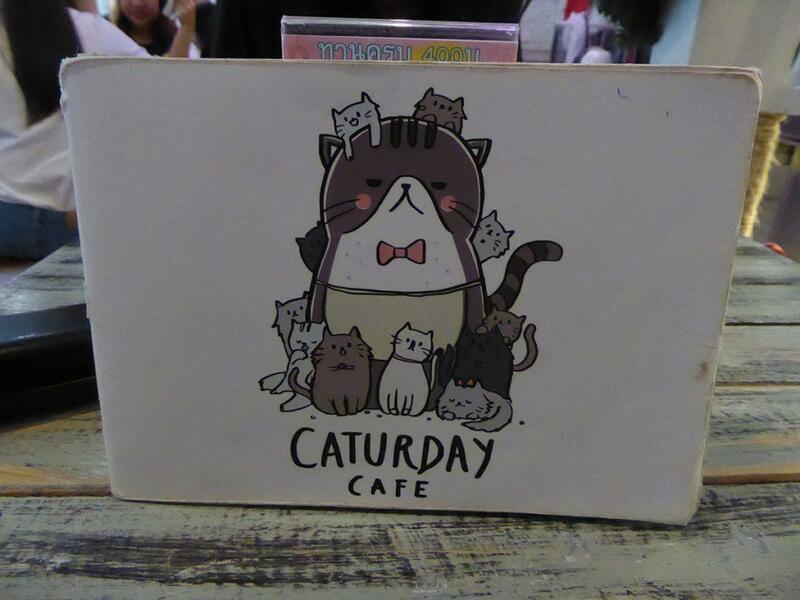 Caturday is conveniently located next to Ratchathewi BTS station. Location: CoCo Walk Plaza, 115 Phaya Thai Road, Bangkok. 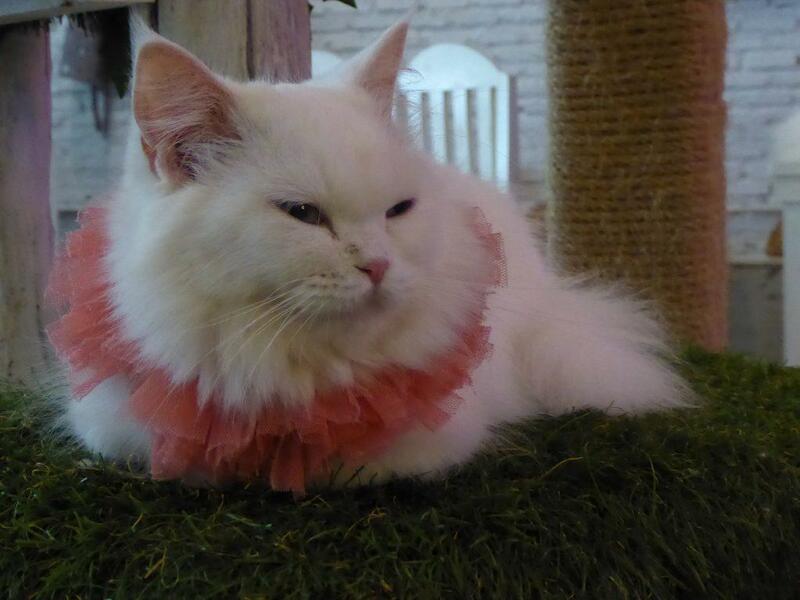 Opening Hours: 12.00-21.00 Tuesday-Friday, 11.00-21.00 Saturday-Sunday. Closed on Monday. Getting There: BTS Ratchathewi Station (exit 2).